Dirty duct systems are a major source of indoor air pollution. Our trained technicians can clean all of the ducts, vents, heating and cooling systems to remove harmful dust, pollen & other contaminants. Free Consults on the Phone! What you can't see can hurt you. Dust, dirt, pollen, animal dander and other airborne contaminants are pulled into your duct system every time your furnace or air conditioner runs. These contaminants build up inside the duct work over time and make your duct system an ideal breeding ground for mold spores, bacteria, fungus, mildew, and other microbes. When the furnace or air conditioner is turned on, these contaminants are spewed out and circulated throughout your home and affect the health and comfort of your family. Family members who suffer from allergies, asthma or other respiratory ailments as well as children and the elderly are especially vulnerable to the effects of indoor air pollutants. The removal of contaminants from the entire HVAC (Heating Ventilation & Air Conditioning) system is recognized by industry experts as well as the NADCA (National Air Duct Cleaners Association) as the most effective way to eliminate air duct pollutants. This is referred to as the “source removal” method of duct cleaning. In addition to the obvious health benefits, duct cleaning can help you maintain a cleaner home. It also helps to restore HVAC system capacity and lessen running time resulting in lower heating and cooling bills. Also a biological contaminant, Allergic responses to indoor biological pollutant exposures cause symptoms in allergic individuals and also play a key role in triggering asthma episodes for an estimated 15 million Americans. (U.S. ENVIRONMENTAL PROTECTION AGENCY). 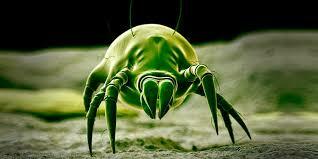 Dust mites are tiny insects that are invisible to the naked eye. 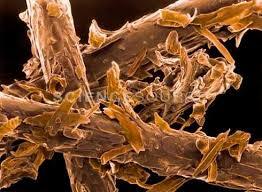 Every home has dust mites. They feed on human skin flakes and are found in mattresses, pillows, carpets, upholstered furniture, bed covers, clothes, stuffed toys and fabric and fabric-covered items. 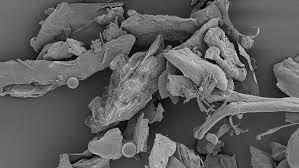 Body parts and feces from dust mites can trigger asthma in individuals with allergic reactions to dust mites, and exposure to dust mites can cause asthma in children who have not previously exhibited asthma symptoms. (U.S. ENVIRONMENTAL PROTECTION AGENCY). Dust contains more than 5,000 ingredients including fibers, dander, soil, bacteria, molds, smoke residues, pesticides, dust mite allergens, skin flakes and insect body parts. (UNIVERSITY OF NEBRASKA). 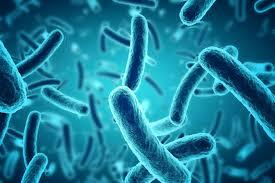 Bacteria is a biological pollutant. Biological pollutants are, or were living organisms. They promote poor indoor air quality and may be a major cause of days lost from work or school, and of doctor and hospital visits. Some can even damage surfaces inside and outside your house. Biological pollutants can travel through the air and are often invisible. (CONSUMER PRODUCT SAFETY COMMISSION). Dander from cats and dogs that live indoors as family pets is a very important cause of allergic symptoms in sensitized people. 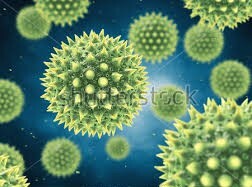 These people can suffer from asthma, allergic rhinitis, and allergic conjunctivitis. Dander can persist in the environment long after the pet no longer lives in the home. A biological contaminant, and a dust mites favorite food. 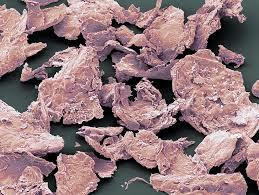 Humans shed about 1/5 ounce of dander (dead skin) each week. About 80 percent of the material seen floating in a sunbeam is actually skin flakes. (OHIO STATE UNIVERSITY).